I've been wanting an old window for a long time now but with two little girls and the general craziness of life I just haven't had the time to go out and look. Well a few days ago Matt got off work early and offered to watch Claire while I went to a thrift store I'd been wanting to go to. I usually take Claire and Maddy with me when I go out shopping but hey he offered! So Maddy and I ventured out by ourselves (she's a momma's girl). And low and behold we hit the jackpot! Tons and tons of windows! Luckily Claire wasn't there since there was broken glass all over the ground. Maddy was safe and sound sleeping away in her car seat while I dug through this pile until I found the perfect one! I took it home and gave it a good scrubbing. 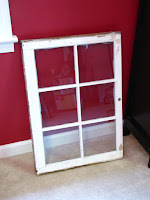 Old windows can be used in a ton of different ways like framing photos in them or using them as a memo with a dry erase marker. Also, they could be hung on the wall like a painting or turned into a coffee table (mine and Matt's favorite idea). As of now it's home is the breakfast room all decked out for the fourth of July. I absolutely LOVE this!! I need to find that place you were telling me about. 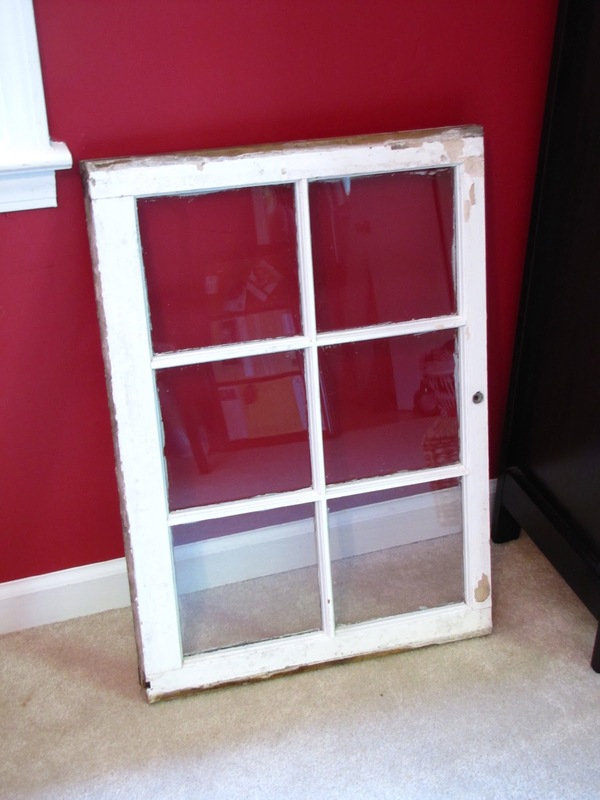 You're right, old windows have so many possibilities! If you turn right onto Augusta Rd. from Church street it's on the left across from the West End Fabric. All her salvage stuff is in the back outside. So much fun stuff to look through!